Cisco devices work together with Webex Meetings and Webex Teams to give you the best possible meeting and teamwork experience, any time, from anywhere, on any device. Everything is compatible; all Cisco devices can be registered to Cisco Webex or other standards based on-premise infrastructure. Setup your own personal virtual meeting room and host video (or just voice) calls with anyone, any time. 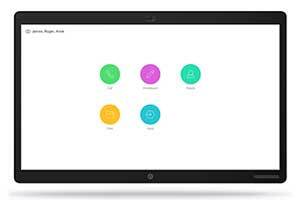 Webex Meetings makes it easy to make simple video or audio calls from any video system or device. 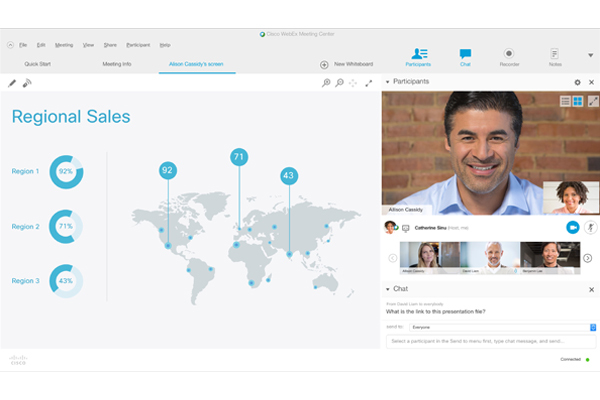 Webex Teams is about more than simple video conferencing, enabling continuous teamwork via video, messaging, file sharing and whiteboarding. Upgrade your desktop with an all-in-one collaboration device for your workspace. The DX80 is simple to use – just add a screen. The Webex Room Kit enables video in small meeting spaces. 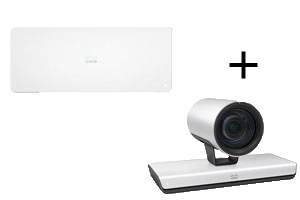 Simply mount the Room Kit to the screen or wall and enjoy high quality video meetings. 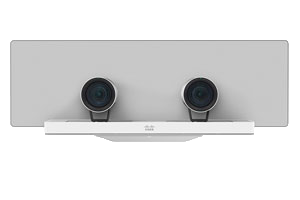 The Webex Room Kit Plus enables telepresence on any flat panel display. Pair with the Webex Quad speaker tracking camera for powerful audio. 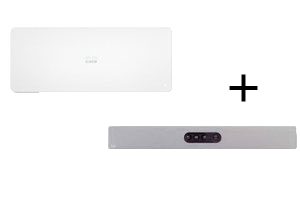 Turn your flat panel display into a powerful telepresence solution with the Room Kit Plus and P60 camera. The P60 offers a high level of flexibility & amazing zoom. 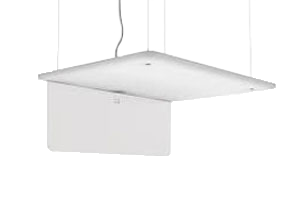 The SpeakerTrack 60 uses a unique dual-camera technique to quickly view a close-up of the active speaker in the meeting room. 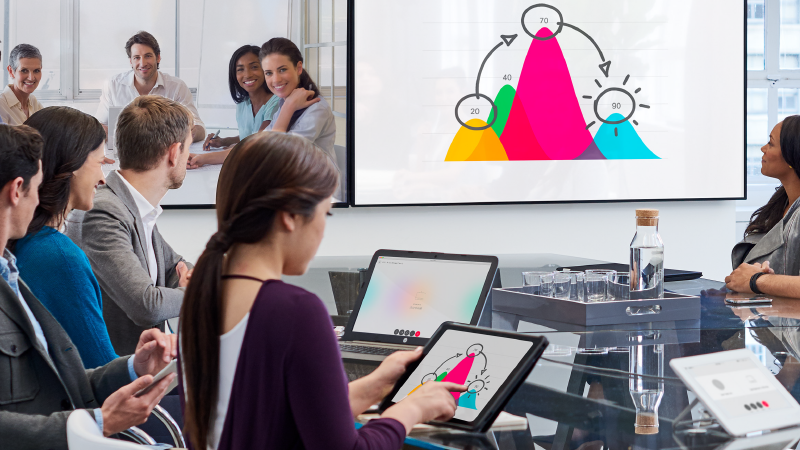 The Cisco Webex Board is everything you need to collaborate with your teams in physical meeting rooms. 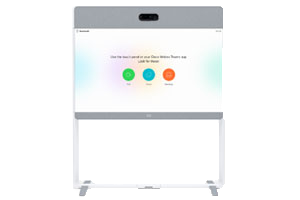 Available in 55, 70 or 85-inch sizes, the Webex Board is a self-contained system on a HD 4K LED screen with integrated 4K camera, embedded microphones, touch interface, and wireless sharing capabilities. 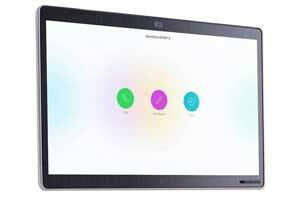 The Webex Board brings elegance and style to your meeting rooms, with intuitive user controls. With its streamlined design, the Webex Board is as beautiful as it is powerful. Enjoy life-like telepresence in small or medium-sized rooms. 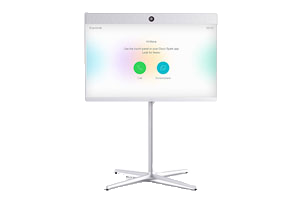 The Room 55 is an all-in-one collaboration system that includes camera, codes, display, speakers and microphone. 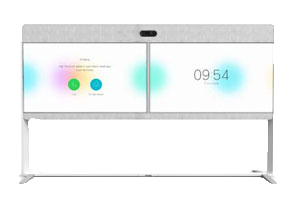 The Cisco Webex Room 70 combines beautiful design and powerful functionality in an all-in-one collaboration solution. The Single Webex Room 70 provides people-focused telepresence. 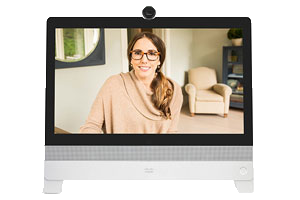 The Webex Room 70 Dual provides two screen configuration that enables life-like telepresence and content sharing. 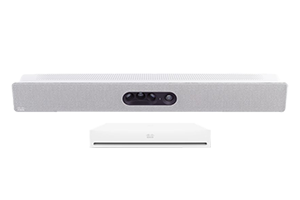 The Webex Room series is one of the most powerful and feature-rich video systems available. 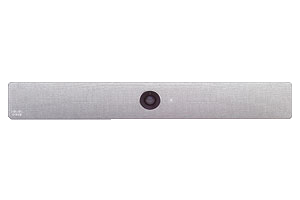 The Cisco Webex Mic 20 microphone provides high quality, omni-directional coverage ideal for small-to-large meeting rooms and is compatible with all devices. 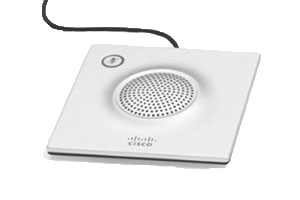 The Cisco ceiling microphone is a high quality, cost-effective directional microphone designed to cover larger meeting spaces such as training rooms and auditoriums.